And thus we cannot be separate from ourselves, from who we are on an ordinary day, week, or year. We are simply us. Although the ox may look large and dangerous so do our fears, anxieties, and doubts. Yet when we examine them more closely they are simply the secretions of our brain, created in a mysterious way. They can turn us into who knows what when we give them the power to determine our emotions, exacerbate our fears, or harm our relationships. Roshi Kennedy writes, “The gift the third picture epitomizes is self-reliance. It is at this stage of the journey that the ox herdsman realizes that his true nature is within himself. It depicts the real awakening of the herdsman (page 34).” The Ox herder must be the one to eventually learn how to unite with the Ox and understand that he won’t find something outside of himself that has control over who and what he is. Kennedy goes on to say, “Nothing exists but the self and this self contains the whole universe.” You are made of the same particles as the moon and the sun and the black hole. You are the Ox and the Ox is you! So the next time you feel afraid or in doubt remember that your true nature of self-reliance, resilience, and knowledge exists in you at this very moment. Acknowledge the source of your power and move forward with confidence. Awaken to the idea that the Buddha/Ox and you are one and the same–thus all things are possible. So go for it! The second picture shows that the oxherd has now caught sight of the tracks of the ox, bringing hope that his ox is not lost forever. This could be interpreted to mean that he has recognized his distress and has begun to seek for a solution in the teachings of Buddhism or in other teachings. But he is still at the stage of thinking and talking about his problems and various possible solutions. He has not yet found a path to follow and has not yet started to practice. For each of us as we move through the days of our lives we find ourselves searching, thinking, dreaming, seeing, and planning for that perfect oneness and perfection or solution to life’s mysteries. I can reflect on my own “footprints” reliving the conversation or encounter with an old friend or family member. Or remembering a verse I read or a course I studied at school or in the Zendo. Or seeing the traces of my life and thoughts and actions. I begin to search for the answer that I thought I had discovered in that study group or class or relationship. Let us not move toward a “fixed truth that might hinder us” but let us move each moment where the experience takes us allowing life to flow at its own pace, form, and destination. The most exciting and important adventures in life were the ones that we least expected. Open your mind to see what is here in the moment and remember that “truth” changes with time and experience, cling to nothing, enjoy everything—without attachment—and be ready for the next adventure in living! Many years ago I went on a retreat with Father Robert Kennedy who is a Catholic priest and a Zen Buddhist teacher and the author of several books on Buddhism. He studied with both Bernie Glassman Roshi and Taizan Maezumi Roshi two wonderful Zen teachers and mentors. I was so enthralled with his teaching during our weekend Sesshin that I bought all of his books. 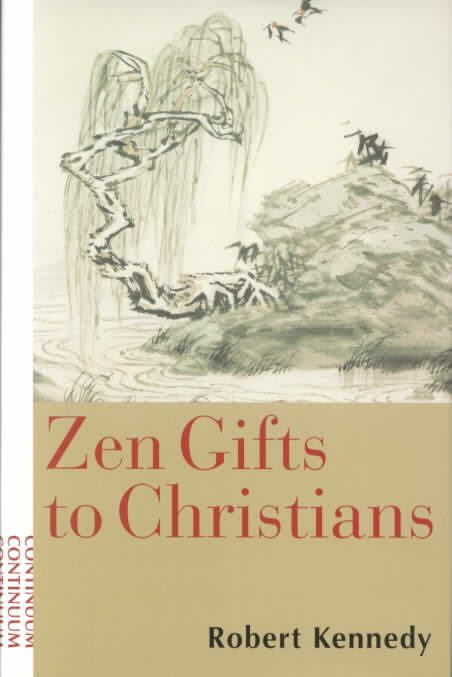 His book Zen Gifts to Christians is based on the famous Ten Ox-herding pictures of Zen. It is a unique way to review and understand some of the basic principles of Zen in a fun and inspiring way. The ten ox-herding pictures and commentaries presented here depict the stages of practice leading to the enlightenment at which Zen (Chan) Buddhism aims. They dramatize the fact that enlightenment reveals the true self, showing it to be the ordinary self doing ordinary things in the most extraordinary way. Wonderful! I just love that idea that Buddhism helps us discover our true self in its ordinariness and its extraordinariness! I hope you enjoy this adventure as an ox-herder! I know it seems like you’re teachers are shooting the “ bull” sometimes in their desire to help you understand the Zen principles and you may think I am as well. Regardless, I know you’ll enjoy this adventure from the past and see how relevant it is in your life in the 21st century. Hold on to the reins as this may be a bumpy ride!